Send your compassion with a hand-made floral standing spray. This stunning arrangement is created by a local florist, with the freshest flowers. 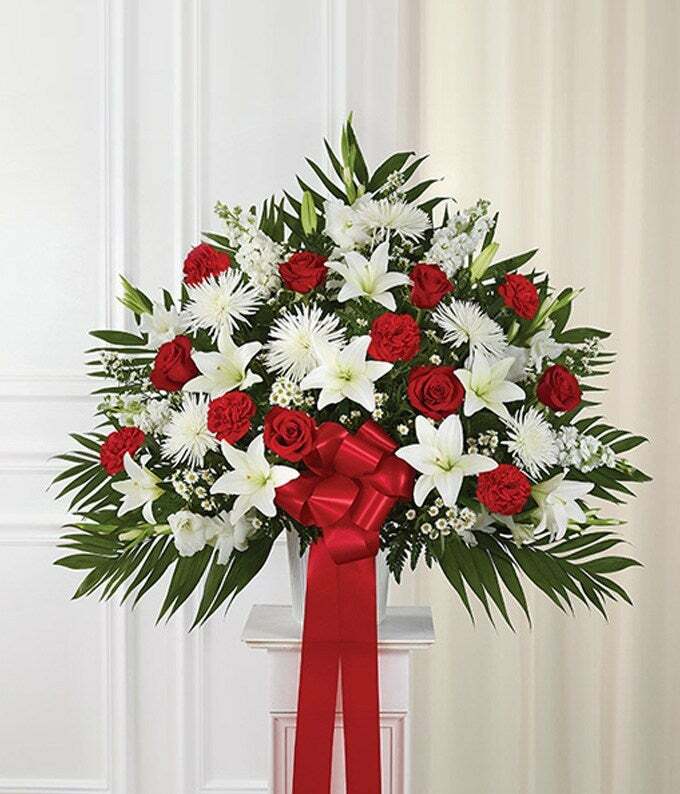 From red roses to white spider mums and lilies, this bouquet is a beautiful gift to show you care. Available for florist delivery straight to a funeral home. Medium (shown) measures approximately 36"H x 36"L without stand.